Early last season, it seemed Manny Ramirez's baseball career was over when he retired after he was notified he was facing a 100-game suspension for violating the league's drug policy. But earlier this year the Athletics took a chance on Manny, who happens to be celebrating his 40th birthday today, and gave him a one-year, $500,000 deal. The suspension, which was reduced to 50 games, ends this week, and he'll be eligible for the A's to use. 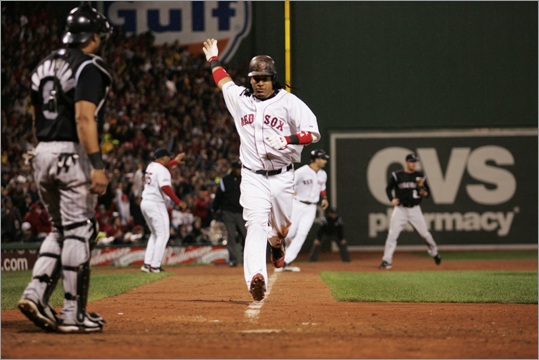 Click through the gallery to see how other former Red Sox players are performing in 2012. A drop-down menu below the photo allows you to jump to a specific player.